Today Beamdog CEO Trent Oster and Studio Director Phillip Daigle shared the latest news on Neverwinter Nights: Enhanced Edition and Infinity Engine Enhanced Edition patches. 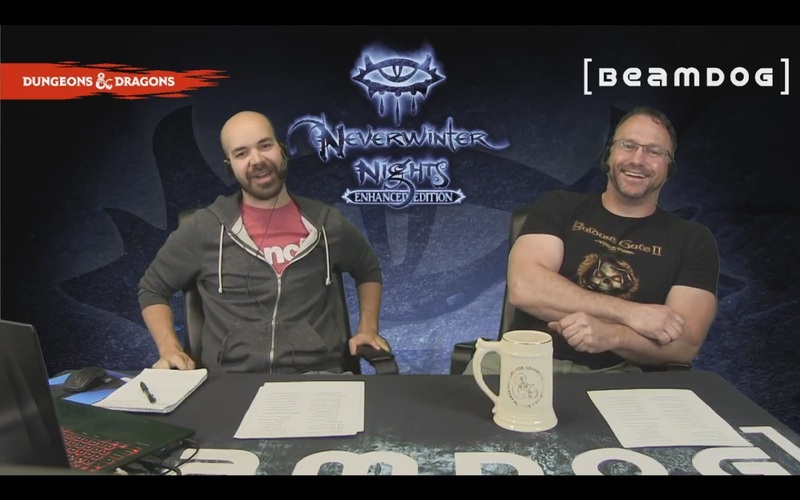 Clint aka “deltaTime” joined the stream to talk about Netheril: Age of Magic, a NWN:EE persistent world. Beamdog is going to PAX West this August to do a special announcement panel. Stay tuned for more details! Sign up for our newsletter to get exclusive information on our upcoming games, patches and promotions! We don’t like spam in our own inboxes, so we promise not to spam yours. We’re looking for programmers, technical artists, web developers, and more! Apply on our job page now! 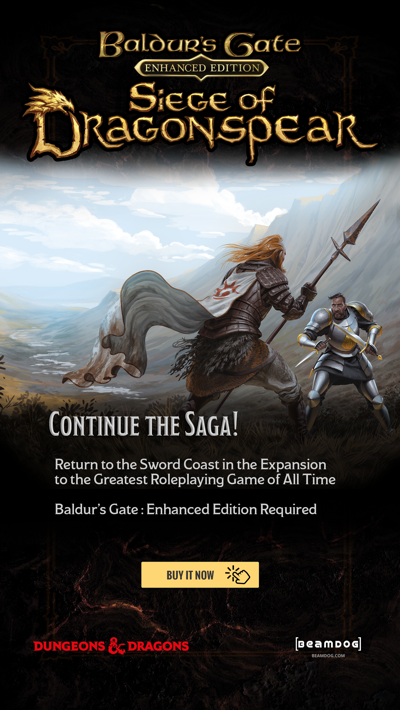 All our titles are on sale on Beamdog.com! Save up to 80% on Infinity Engine products and up to 15% on Neverwinter Nights: Enhanced Edition titles! Baldur’s Gate II: Enhanced Edition is currently on a huge sale on Google Play and the App Store. Act quick to pick it up for your mobile device! Subscribe to our Steam Developer/Publisher page to see all our new stuff first! The much-anticipated 2.5 update for Baldur’s Gate II: Enhanced Edition is out! This patch brings Simplified Chinese, Korean, Russian and Polish localizations, German, Italian and Polish V/O, as well as over 500 bug fixes and new features! Check out the full patch notes here. Updates can take a while to distribute, especially on Google Play and the App Store, so we appreciate your patience as the update populates throughout. Stay tuned for more information about the Mac App Store release. We want to give a shout-out to our technical designers on Infinity Engine games. We really appreciate your work. Without these fine folk, BG:EE and BGII:EE would have been impossible to create. There’s no new development build for Neverwinter Nights: Enhanced Edition this week as we are working hard on the next stable patch. We continue to work on the Intel GPU-related crashes and performance issues. We will continue integrating workarounds for this issue in the next NWN:EE public update. 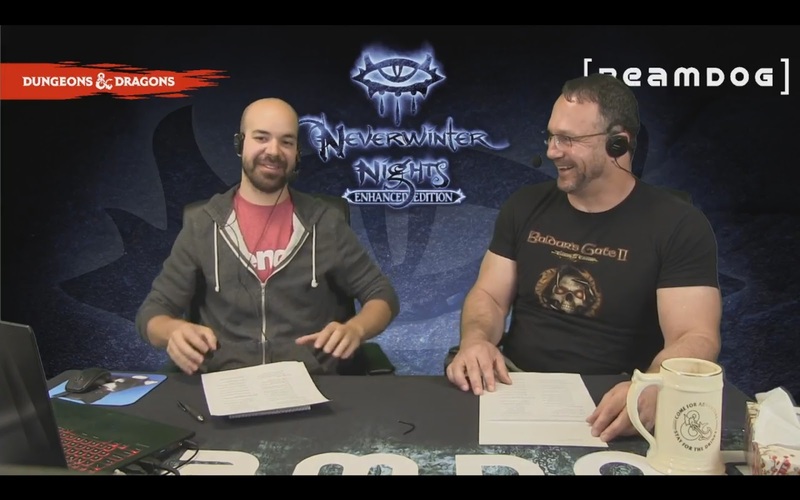 Neverwinter Nights: Enhanced Edition on GOG will happen. More news soon! Work on updating textures in NWN:EE continues. The tricky part here is the backwards compatibility. We want to make a new lighting model as quick and easy to use as possible. According to Trent, a plan for the Witch’s Wake module was actually finished, but it was never approved. Rob Bartel isn’t currently in the place where he can make it. At this time we’re not going to add anything to the Witch’s Wake. We’ve been patching the Premium modules as a part of our Neverwinter Nights: Enhanced Edition patches. If you run into bugs while playing the Premium modules, please report them, and we’ll get them fixed. But big changes, such as rebuilding the horse system in Neverwinter Nights: Wyvern Crown of Cormyr, for example, are not likely to happen. Clint called his arctic fox “Kit”. Netheril: Age of Magic Neverwinter Nights: Enhanced Edition persistent world is a RP-heavy server based around what the humans known as the Netherese called "The Golden Age", when the nation was at the very pinnacle of its power. Its setting is focused mainly on the Floating Enclave dubbed "Valstiir". The server boasts a beautiful world, with rich lore and different factions. 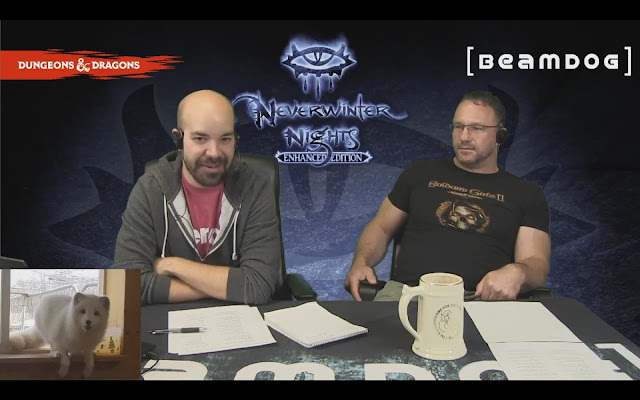 According to Clint, the coolest thing in Netheril: Age of Magic is the world exploration. The persistent world is in active development, and there’re a lot of exciting features to come, such as a custom familiar system. Curious about the Netheril: Age of Magic Neverwinter Nights: Enhanced Edition persistent world? Grab the files from Steam Workshop and join the server! We’ll be bringing more people from the community to talk to during our livestreams. Stay tuned! Excited for what’s next? Come and join the next livestream next Friday! The 2.5 update for Baldur’s Gate II: Enhanced Edition is finally here! 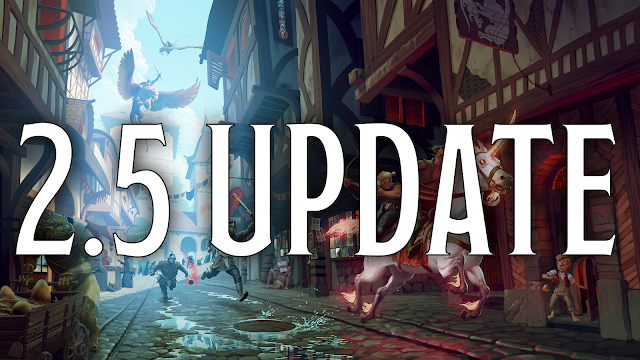 We’ve made over 500 fixes and features throughout the 2.5 Infinity Engine updates and now this much-anticipated update for Baldur’s Gate II: Enhanced Edition is coming to Beamdog, Steam, GoG, Google Play, and the App Store! Stay tuned for more information about the Mac App Store release. If you don't see the BGII:EE 2.5 update, please be patient as some platforms are slower to update than others. There is now an OHFIXTTYR player AI script that can be used by players to fix their existing BG:EE/SoD Priest of Tyr characters to the new kit value. Existing priests of Tyr can continue through the game without issue; when they're ready to export their character they can simply assign this script and press 'D'. A 'Priest of Tyr' bit of floating text should pop up and they'll be granted some special abilities (Chaos of Battle and Holy Power). Unfortunately, it's not a 'clean' fix. Despite being the correct kit value, their class in BG:EE/SoD will be listed as 'cleric' instead of 'Priest of Tyr', hence why we recommend doing this only before export. Occasionally updates can take a while to distribute, especially on Google Play and the App Store. We appreciate your patience as the update populates throughout. 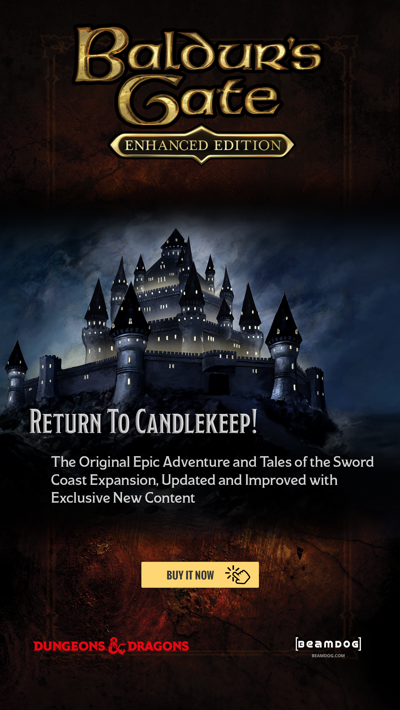 Watch out for more news on our social channels about 2.5 updates to Baldur’s Gate: Enhanced Edition and Baldur’s Gate: Siege of Dragonspear. Here’s the full list of bug fixes and features (please, note that this list does not cover the general Infinity Engine tickets, these will be published when the 2.5 patch series is completed)!